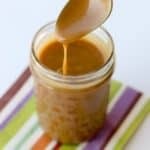 Pour it over popcorn, use it in coffee, or just eat it off the spoon-this easy homemade caramel sauce is delicious and clean eating approved! My love for caramel comes in second only to my love for chocolate chip cookies. If it’s got caramel in it, chances are the recipe is already on my Pinterest boards somewhere. And chances are I’ve already tried it. 🙂 When I adopted a more whole food/clean eating diet, I never thought I would be able to have caramel on a non-cheat day! Happily, I was very wrong. 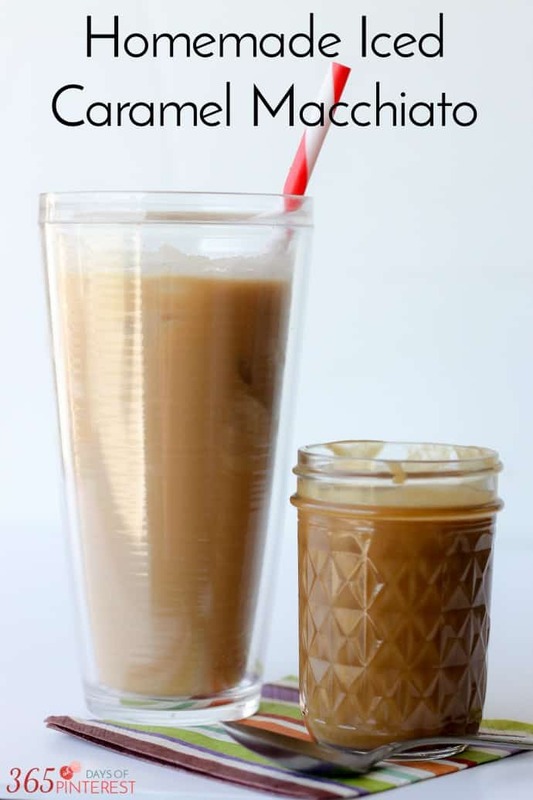 For this week’s Fitness Friday I’m sharing this awesome caramel sauce made with coconut palm sugar. It’s rich, nutty and oh-so-sweet! We’ve already had it over popcorn, in coffee, with apples and on super awesome French toast. YUM. I have to be careful with this yummy caramel. It may be clean-eating approved, but it’s still sugar and the calories will need to be burned eventually. 🙂 If you missed the last week’s Fitness Friday post, click here to check out Clean Eating Chocolate Peanut Butter Fudge. I wanted this last batch to be a bit thinner so I could use it in coffee or to make a nice tall Iced Caramel Macchiato. That’s why I use half-and-half. If you make it with heavy cream it comes out a bit thicker and you can have a chewy candy treat if you store it in the fridge. You can always warm it up again to thin it back out. 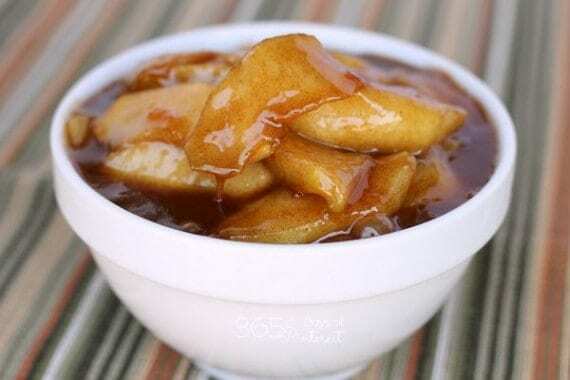 Feel free to tweak things a bit depending on how you want to use the caramel sauce. 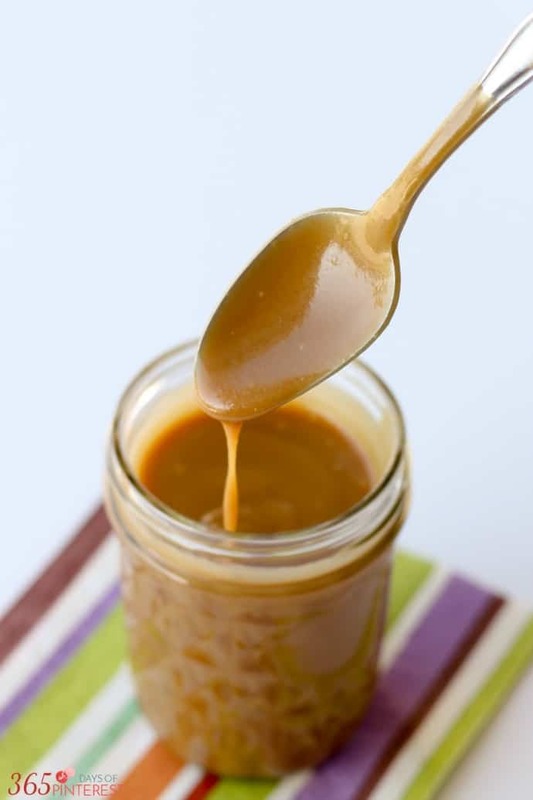 Add milk and a couple spoonfuls of Easy Homemade Caramel Sauce and stir! 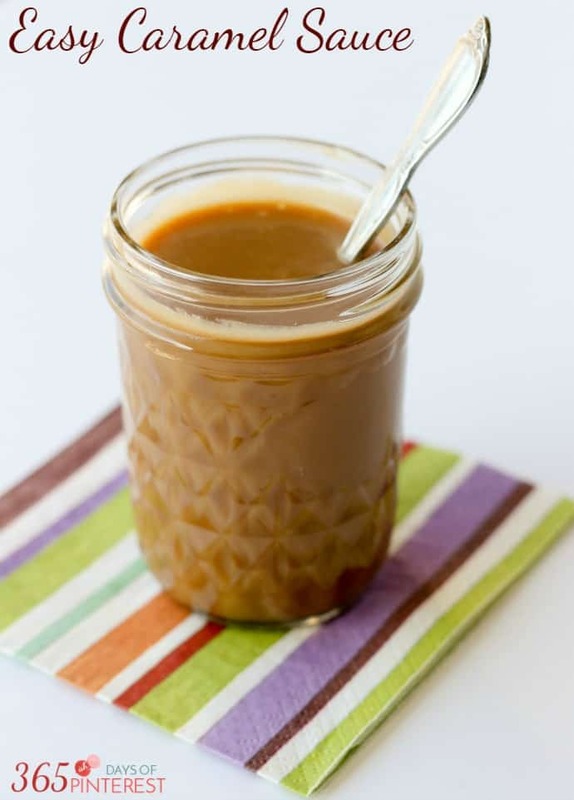 You know what goes really well with Easy Homemade Caramel Sauce? Fried Apples. Yeah- you’re going to want to try these! Can you use regular white sugar?